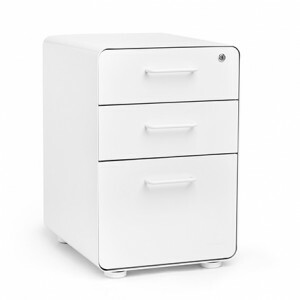 The best-selling White Stow File Cabinet is the stylish shelter your files are seeking. White powder-coated steel construction with matching White painted steel interior keeps documents and doo-dads super safe. One lock secures all three drawers, giving the entire cabinet the privacy it deserves.